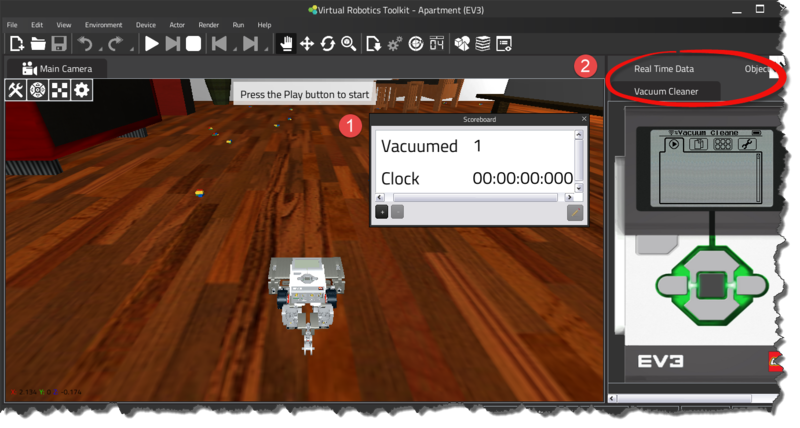 The Virtual Robotics Toolkit began its life 10 years ago, as a tool for researchers and engineers. Back then the idea was simple, before investing time and money in building an expensive real robot, perhaps it would be advantageous to have some way of testing on a digital prototype. As a result, the Cogmation simulator was born, and its earliest versions targeted expensive robots used primarily in academia, such as the Aldebaran® Nao™ and the iRobot® Packbot™. Of course, creating a great design tool was just part of the solution. What we had really hoped for, was to use the simulator to teach robotics itself; and if that were the goal, then why not work with a robot specifically designed for the beginner? 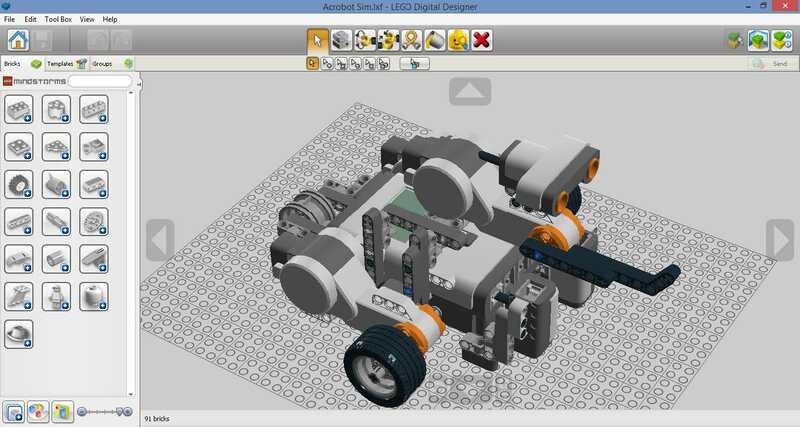 Why not design the simulator to work with a LEGO® MINDSTORMS® roboT? There are many benefits adding simulation capability to the MINDSTORMS® experience, but a few of the more compelling reasons are given below: Perhaps the most obvious benefit is that by using a simulated robot we can write programs to work with the robot, even if it isn’t physically available. For example, your robotics club might only have a single MINDSTORMS® robot, but the whole team could be working and programming on a digital version of that same competition robot from home. When it comes to environments, simulation offers a much greater variety of challenges that would ever be physically possible. Although it might be too expensive to test our robot in the near-weightless of space, we could easily simulate it. The distinction between simulation and video game is not always easily made, but it’s a point worth considering. While both types of software allow for the design, creation, and manipulation of 3D objects, at its core, simulations are about things (or systems) and how they behave. Most video games on the other hand, are about having fun. . The software you see before you is a complex, real-time, physics enabled simulator, it is not a video game. Although it is possible to have a fun time using it, it is a different kind of fun. It's the kind of fun that comes from inventing something cool, seeing it spring to life, and sharing it with others. Despite this important difference, the simulator as a modeling tool can be incredibly effective at building models to compete in the kinds of complex games that are typical of FIRST Robotics challenges. 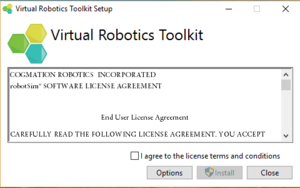 The Virtual Robotics Toolkit can be easily installed by following the steps in the installation wizard. The first time you launch the program, you'll be asked to either begin your trial or register the product. To activate the product, ensure that your computer is connected to the Internet, and enter the product registration key that you were given. If installing the software on a school network, a firewall exception to the url: http://activations.cogmation.com may have to be made. Minimum System Requirements Intel processors (i3, i5) AMD processors (A8, A10) 4 GB of RAM Integrated graphics card Mac OS X - Lion or better Windows 7 - or better Recommended System Requirements Multi-core processor, Intel (i7) or better 8 GB of RAM Integrated graphics card Mac OS X - Lion or better Windows 7 - or better Available Platforms The simulator can be installed on to most computers purchased in the last three years, however, we assume that it might be important for you to know the minimum and recommended technical specifications. As of January 2015, the software exists in both Windows and Macintosh formats. Unfortunately, due to the processing power needed to run the physics engine, the software will not run on lightweight devices such as Chromebooks or Tablets. 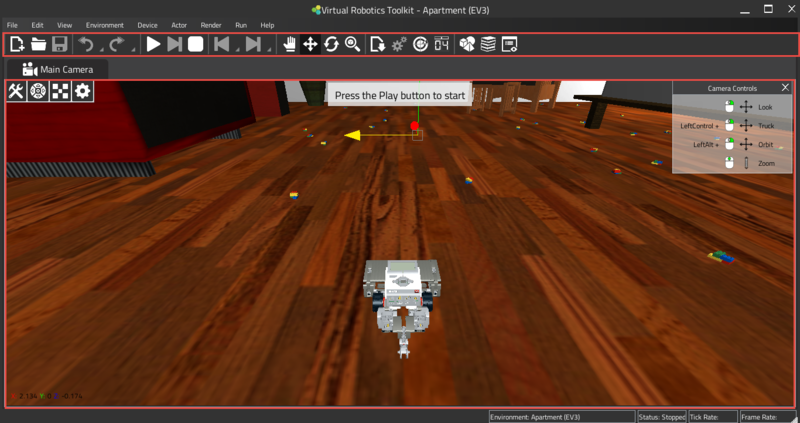 Designed for use with the LEGO® MINDSTORMS® NXT™ and EV3™, the Virtual Robotics Toolkit™ is a physics enabled simulator, that is an essential tool for anyone looking to enhance or expand the MINDSTORMS experience. The simulator allows users to design and program their own digital robot, but without the burden of ever needing space for testing, or running out of physical bricks. This tool can be especially useful to those who are interested in teaching with robots, but who lack enough physical kits for each student in their class, and for robotics clubs who are looking for an excellent prototyping utility to help give them the edge over the competition. Bu yazıda, Sanal Robotik Araç Takımı'nın kurulum sürecine bakacağız. Ayrıca minimum ve önerilen sistem gereksinimlerini tartışmak için biraz zaman harcayacağız ve kullanmak isteyebileceğiniz diğer bazı LEGO araçları hakkında konuşacağız. Sanal Robotik Araç Takımı standart bir kurulum sihirbazı kullanır. Devam etmek için lisans sözleşmesinin şartlarını bilmeli, bu şartları kabul etmeli ve Yükle düğmesine basmalısınız. Şimdi, kullandığınız bilgisayarın türüne bağlı olarak, yükleme birkaç dakika sürebilir. Ancak, bu yapıldığında, kurulum sihirbazını kapatıp ekranda simülatör için bir masaüstü kısayolumuz olduğunu göreceğiz. Sanal Robotik araç setini açmak için simgeye çift tıklayın. Sizden bir aktivasyon anahtarı veya başlangıç yazısı yazmanız istenir. Seçiminizi yapın ve Tamam'ı tıklayın. Sanal Robotik Araç Takımı artık bilgisayarımda yüklü. Şimdi, simülatörden en iyi sonuçları almak için, resmi Mindstorms web sitesinden ücretsiz olarak indirebileceğiniz EV3 programlama ortamı gibi kullanabileceğiniz bazı ek araçlar var. 3D modeller oluşturmak için, LEGO Group'tan bir başka indirilebilir Lego dijital tasarımcısı kullanacağız. 3B modelleriniz oluşturulduktan sonra, bunları simülasyon aracına dışa aktarmak için bir yol gerekir. LDraw, Lego ile çalışmak üzere özel olarak tasarlanmış açık kaynaklı bir CAD standardıdır. LDraw kütüphanesini kurmak için LDraw giriş sayfasındaki Başlat bağlantısını tıklayın, bir platform seçin ve ardından adım adım indirme talimatları linkini tıklayın. LDraw Hepsi Bir Arada yükleyici gerçekten aradığımız şey, bu yüzden bir tıklama ve indirme yapın. Kurulum sihirbazı burada açıldığında, en çok ilgilendiğimiz özellikler LDraw parça kütüphaneleridir. ML Cad ve bu programlardan bazılarını disk tasarruf önlemleri olarak kaldırabiliriz. Seçimler yapıldığında, bir yükleme yolu belirlemek ve LDraw All-in-one kitaplığının kurulumunu tamamlamak için İleri'ye basabilirim. Bir sonraki adım Lego Digital Designer'a yama yapmak. Yeni kurulmuş olan blok kütüphanemizle birlikte kullanmak için, Patch Lego Digital Designer için Sanal Robotik Araç Seti'ndeki Yardım menüsüne tıklayın. Bu sıkıcı şeyleri ortadan kaldırırken, sanal robotik odasını keşfetmeye hazırız. 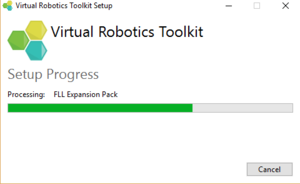 In this chapter we outlined the process for installing and setting up the Virtual Robotics Toolkit on to a computer. While the software usually installs without issue, in school computer labs, it is occasionally the case that an exception must be made to a network firewall to allow the Activation Manager to reach the Cogmation licensing server. The URL to include on your exceptions list is: http://activations.cogmation.com Like most applications, the Toolkit runs best on a new computer with lots of memory and a multi core processor, and even better when that computer has a dedicated graphics card. 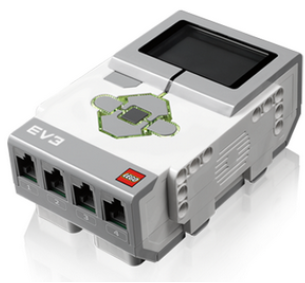 Installing the LEGO MINDSTORMS EV3 programming environment will allow you to write autonomous code for your virtual creation. 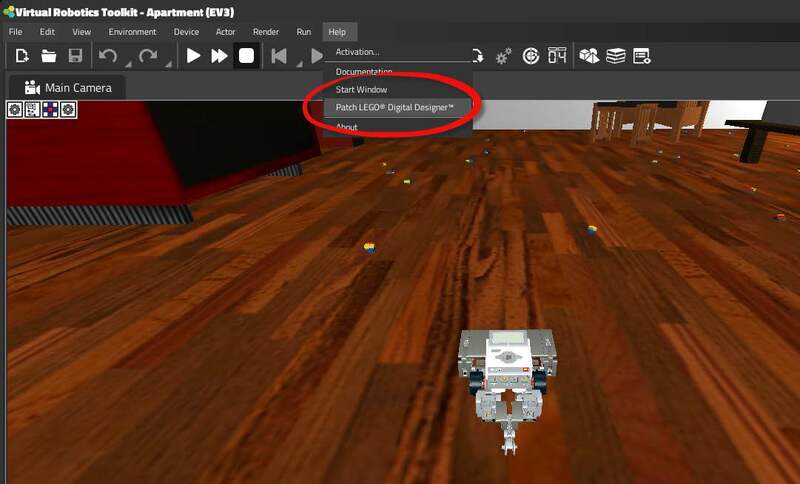 Installing LEGO Digital Designer along with the LDraw library will allow you to create 3D models of your own that can be easily imported into the simulator. With the fun stuff out of the way, we're ready to get started. 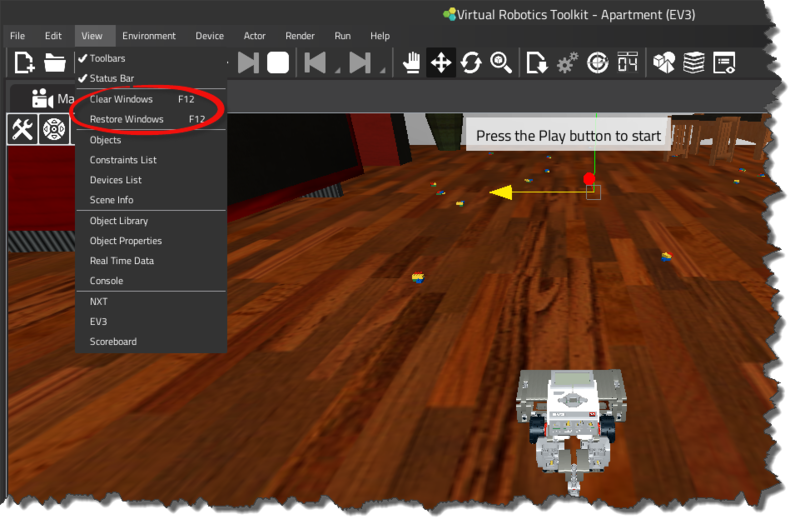 In this section, we'll dive into the Robot Vacuum project where we'll learn the basics of starting, stopping, and navigating our way through a simulator project file. We will build on the tools and concepts that are learned here in the later lessons on programming and design so you will want to pay special attention to what is in this section. As you may have already noticed, upon launching the simulator, you are greeted by the Welcome Screen. In the base installation, this window is divided into four tabs. Sim Basics: A collection of beginner projects to get you started. Challenges: A collection of advanced multi-player projects where we can test your newly learned skills against another friend or autonomous robot. FIRST LEGO League: FIRST LEGO League's 2015 challenge: Trash Trek. WRO (World Robot Olympiad): World Robot Olympiad' 2015 challenge mats. 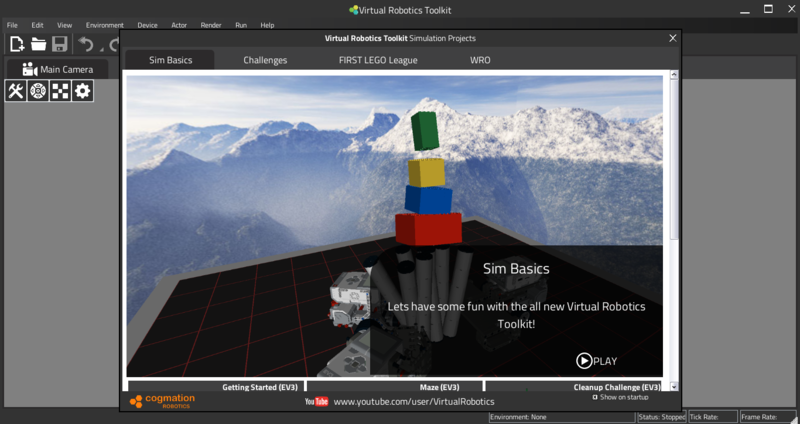 The first tab, "Sim Basics," contains four projects to help you get started. 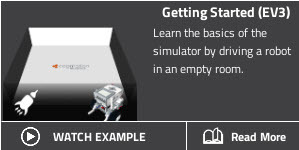 A brief overview of each project as well as the recommended sequence for tackling each challenge is provided below: Sim Basics Tab • Getting Started is nothing more than an empty room with a robot. The goal of this distraction free environment, is to learn the basics of starting and stopping the simulator, and how to use the keyboard controls to drive the robot. • Maze is the next project you should practice with. 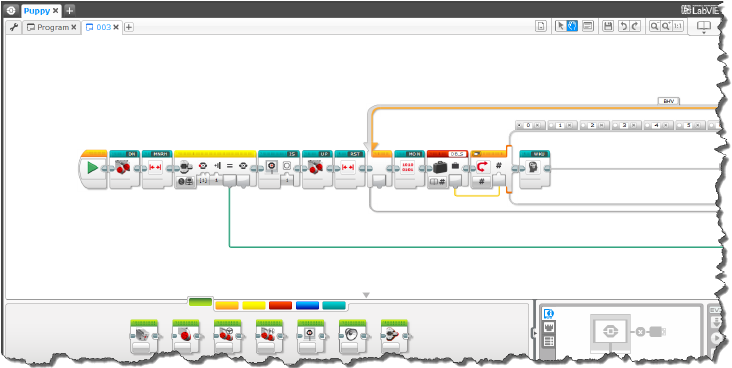 The goal of this project is to learn how to connect the MINDSTORMS® programming environment to the simulator.This will allow us to solve the maze by writing our own programs using MINDSTORMS® software and uploading it to the existing virtual robot in the simulator. • Clean-up Challenge is the "build" challenge in this training series. While we can use the given robot that is provided to clear the playing surface, the real goal here is to introduce LEGO Digital Designer and demonstrate how we can use the LDraw import wizard to work with our own customized robots. • Apartment is the last in the series of training projects. Here we can use the given robot along with its various attachments, and use our skills to program it to navigate around the room and vacuum the blocks that littered the floor. Each of the above mentioned projects will be elaborated in the next chapter. The second tab on the Welcome Screen, presents three additional multi-robot "Challenges" where we can test our newly learned skills against another friend or autonomous robot. Challenges Tab • Multiplayer Sweep is a two robot variant of the Clean-up challenge. Here we can either use keyboard controls to compete head to head against another player, or alternatively load different control programs into multiple Intelligent Bricks. • Sumo is a digital version of the popular robotics challenge, where two robots are programmed to push each other out of a ring. The last robot standing wins. • Soccer is a simulated version of the World Robot Olympiad - GEN II soccer game. This is probably the most complex of all the challenges. Players will have to program their robot to work with the HiTechnic® sensors to locate the soccer ball and push it into the opposing goal. The third tab, "FIRST LEGO League," contains 2015 challenge called Trash Trek. Trash Trek is all about handling trash. Teams get to identify the problems associated with handling waste, design an intuitive solution to the identified problem and share their experience with other teams. The fourth tab, "WRO," contains the following challenges for 2015: Pearl Diving, WRO 2015 Regular Elementary Challenge. Treasure Hunt, WRO 2015 Regular Junior High Challenge. Mountaineering, WRO 2015 Regular High School Challenge. Each project tile on the Welcome Screen is further divided into: A preview video of the challenge. A project Readme that contains an eBook built around that particular project file. Click on the tiled image to launch the project and give your project a name. All the above mentioned projects will be discussed more in detail in the later sections. With the vacuum project file open, we can see that the simulator is divided into two areas. A large Main Camera area, also known as model space, where we can interact with the 3D environment, and a Toolbar that sits at the top of the screen that provides quick access to commonly used commands. Customizing the user interface Clearing and restoring windows To clear all windows on the screen, click on the 'View' menu and choose 'Clear Windows'. To restore all windows, click on the 'View' menu and choose 'Restore Windows'. When Restore Windows is chosen, any windows that were previously docked will now reappear on the screen. Alternatively, choosing to Clear Windows from the View menu will as you might have guessed, maximize our available screen space by hiding all docked windows, and closing any floating panes. We can toggle between these two commands by pressing the F12 keyboard shortcut. Opening and closing menus If there are any additional windows that we wish to work with, we can easily add them to the screen in one of two ways: Clicking on a button on the Toolbar Clicking on the 'View' menu and selecting the desired window Alternatively, you can close a window by right clicking on its tab and selecting 'close'. 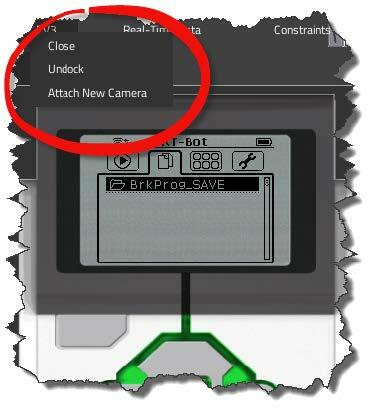 Docking and Undocking windows When a new window is added, the default setting for the dialog is to float over the screen. To dock a window to a particular place, simply select the title bar of the window and drag and drop it to the desired location. As you drag the window, a list of available docking locations for the dialog will display on the screen. If multiple windows are docked in the same location, they will be displayed as a series of tabs. 1. Floating Window, 2. Multiple docked windows with tabs Windows within the simulator can be positioned and dock to best suit the users workflow. 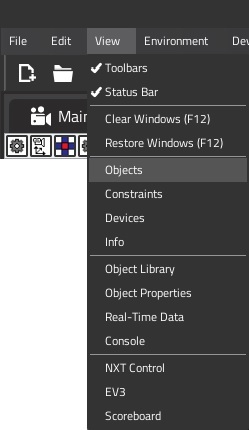 To undock a window: Right click on the window's tab Select 'Undock' The window will now float freely above model space. To dock the window: Drag the floating window to either of the four sides of the model space As you approach a side, docking points will become available. Drop your window on one of the docking points. Your window is now docked to its new position on screen.